Want to keep your mind sharp and nourished? Here are 10 highly effective brain foods that improve memory, mood, concentration, and overall clarity. 1. Blueberries—Blueberries serve a wide range of functions for improving mental function. Most notably, regular blueberry consumption has been shown to improve memory function. Furthermore, blueberries are rich in antioxidants, helping to prevent free radical damage. Still not convinced? Research has found that blueberries can also reverse age related declines in motor function, balance, and coordination. 2. Salmon—Rich in Omega-3 fatty acids, salmon helps your brain develop tissue for increasing your brain power. Furthermore, salmon also plays a key role in fighting Alzheimer’s and other age-related cognitive disorders. 3. Flax seeds—Flax seeds are crammed with ALA- a healthy fat that aids the cerebral cortex in functioning better. 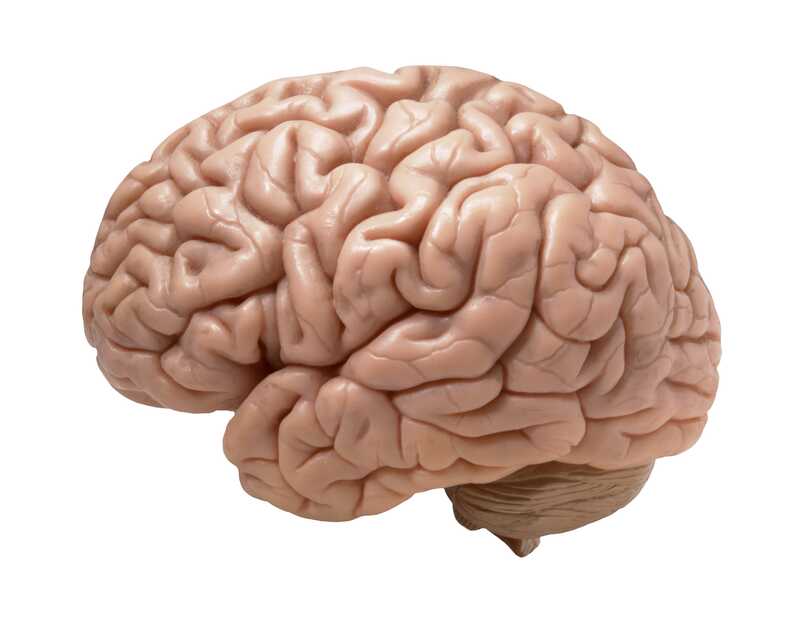 This is the portion of the brain responsible for processing sensory information. Keeping it sharp is vital. 4. Coffee—Regular coffee drinking has been shown to reduce the risk of Alzheimer’s, Dementia, and other mental disorders. That’s because caffeine is good for the brain (in moderation), and it contains antioxidants. The important thing to note is you shouldn’t add in all the other junk to your coffee (the ridiculous Starbucks drinks crammed with sweeteners and fatty products). 5. Mixed nuts—Peanuts, walnuts, pecans, and other nuts contain properties that help with everything from fighting insomnia to promoting mental clarity and strong memory. Walnuts are rich in Omega-3 fatty acids while almonds contain natural mood-enhancing neurotransmitters. 6. Avocados—Don’t let the avocado’s fat content fool you. It’s a healthy fat that promotes blood flow, keeping your mind functioning at its peak. That’s not all: Avocados have also been shown to reduce blood pressure. 7. Eggs—Egg yolks are rich in choline, an essential nutrient to improving memory function. 8. Whole grains—From oatmeal to whole grain bread, whole grains are excellent brain foods as they improve circulation and contain essential fibers, vitamins, and even some Omega-3. Just make your sandwiches from whole grain breads to enjoy the benefits. 9. Chocolate—For me, this is the yummiest brain food of all. Dark chocolate is antioxidant-rich, and it also improves focus and concentration. Milk chocolate, on the other hand, improves memory and reaction time. 10. Broccoli—Broccoli has been shown to improve memory function as well as slow the aging process. This means a broccoli-rich diet will keep you young and sharp. Which brain foods do you enjoy? In addition to eating well, set aside time to challenge your mind. There is a body of rigorous research showing that mental fitness, like physical fitness improves the body, gets better with the right exercises. I’m on my way to learn all I can be, and more, with BRAIN GAMES ! I am surprised to know all these top 10 brain foods as all foods are my favorite specially chocolate.I think that now I get like an excuse to eat chocolate.I also like broccoli.Its good that you have provided description with all foods. I should remember this list while going to market !! Most of all is the chocolate that I really enjoy but I love the ones with milk … do they have the same useful effect for the brain as the dark one ? can u tell me which chocolate is best one? Dark chocolate by amul and and composite chocolate which contains about 14gm of fat out of 42 gm of the chocolate.Fruit and nuts are good.Chocolates must always be low on fat.There is a trend abroad to eat a chocolate as a part of dessert. how can we get sharp brain? Some edible mushrooms like lion’s mane mushroom are also potent brain foods. For instance, preliminary studies suggested that lion’s mane mushroom may contain compounds that are effective against dementia and some cancer. Gudday Sir, Im lossing focus and forget a lot! Im currently attending therapy but, would also like to know food that can focus on that problem. Its not nice to lose focus especialy at work, they need people to be 100% there and interact. dont know what to do with my problem. please help. I’ve heard coconut milk is good against Alzheimers too. pleased to hear about you. i would be grateful if you could send into my box some tip on brain improvement.i use to forget so easily and I want read law . Pls i need tips on brain i wish to study computer science but i all ways forget thins. A few omissions here. Ghee an essential ingredient of many Ayurvedic medicines is also a critical part of traditional Indian diet. It is traditional to take 1 small teaspoon of ghee with ones rice or roti (Other Indian fatty foods must be avoided) Neglect often results problems related to the nervous system , and possibly Parkinson’s or Alzheimer’s. The other is extra virgin olive oil which serves a similar purpose. Walnut is also very good for the brain. Chocolate should preferably be dark with at least 70% cocoa. I have not come across Indian chocolates with that level. They may be available. good idea on the ghee. probably one of the most underated. also i heard a combo of ghee and cod liver oil does wonders for teeth and bones. I’ve done a lot of research on this subject and I think this list is an excellent compilation of what I’ve found elsewhere. Every top brain foods list seems to differ somewhat but that is understandable – how do we really know for sure which foods help the brain the most? And I imagine different people have different needs as well. I am not old but have got 56 years of age and also very fine. I am using Maximum items listed above and giving full marks to writer.Hi,I am semi -veg means taking eggs but not regularly, taking coffee ,peanuts,chocolates and whole grains. thanks for good article . thank,good info.we often forget these foods but they are very good for the mind,especially caffeine in moderation,got to get avocados,and salmon,and wallnuts,on my list,i was wondering about coq10,how much shoul i take and how often? and also ginseng?and green tea?and would any mushroom be benaficial fresh opposed to pill form? What supplements do you recommend for enhanced brain clarity? Nootropics are also excellent brain food. Nootropics or cognitive enhancing supplements like Alpha Brain (containing 9 natural compounds) from Onnit Labs, can elevate focus and mental clarity to help the brain achieve improved cognitive functioning. Alpha Brain has helped me increase focus and mental clarity while providing a boost in general mood as well. You can use “10less” as a discount code to receive a 10% discount on all Onnit supplements like Alpha Brain. Cheers. Nice article. Keep up the good advise. G I V E M E M O R E I N F O R E M A T I O N O N B R I A N F O O D !!!!!!!!!!!!!!!!!!!!!!!!!!!!!!!!!!!!!!!!!!!!!!!!!!!!!!!!!!!!!!!!!!!!!!!!!!!!!!!!!!!!!!!!!!!!!!!!!!!!!!!!!!!!!!!!!!!!!!!!!!!!!!!!!!!!!!!!!!!!!!!!!!!!!!!!!!!!!!!!!!!!!!!!!!!!!!!!!!!!!!!!!!!!!!!!!!!!!!!!!!!!!!!!!!!!!!!!!!!!!!!!!!!!!!!!!!!!!!!!!!!!!!!!!!!!!!!!!!!!!!!!!!!!!!!!!!!!!!!!!!!!!!!!!!!!!!!!!!!!!!!!!!!!!!!!!!!!!!!!!!!!!!!!!!!!!!!!!!!!!!!!!!!!!!!!!!!!!!!!!!!!!!!!!!!!!!!!!!!!!!!!!!!!!!!!!!!!!!!!!!!!!!!!!!!!!!!!!!!!!!!!!!!!!!!!!!!!!!!!!!!!!!!!!!!!!!!!!!!!!!!!!!!!!!!!!!!!!!!!!!!!!!!!!!!!!! I can’t believe that they included coffee and did not have green tea on the list which is waaaaay better for you than coffee will ever be! Interesting list. The items on the list seem to be reflected in quite a few other similar lists. It’s fairly similar, with the exception that it has chewing gum on it. How could gum be even considered a food? Good article.There might be many more eatables which boost the brain power.Further research is needed on this significant subject. I agree with with your selection of foods! If there is any way you can get access to a hyperbaric oxygen therapy that can be beneficial to recovering from strokes. raw egg yolks , yoga , acceptance. Thanks for finally writing about >Top 10 Brain Foods <Loved it! Getting back to chocolate; what is the best chocolate chip (dark or light), bar chocolate for baking (dark or light), powdered chocolate (dark or light), chocolate syrup for plate desert pies, cakes and fresh fruits? I was recently given a “Panatone” a traditional Italian holiday sweet bread that usually has citron and other dried fruit in it. However this only had chocolate chips in it of some likely kind that must have been a cheep variety of chocolate which had a very bad taste. How long can you keep chocolate varieties for freshness? I’d like to know. Good information, but when printed out the font is too small for my mother to read.